From Beneath, A Smithsonian Shipwreck Controversy Artifacts from a 9th-century shipwreck are slated to be shown at Washington's Smithsonian Institution in 2012. But the stories of looting and profit that surround the ship's discovery have put the Smithsonian under fire, and the exhibit on the line. 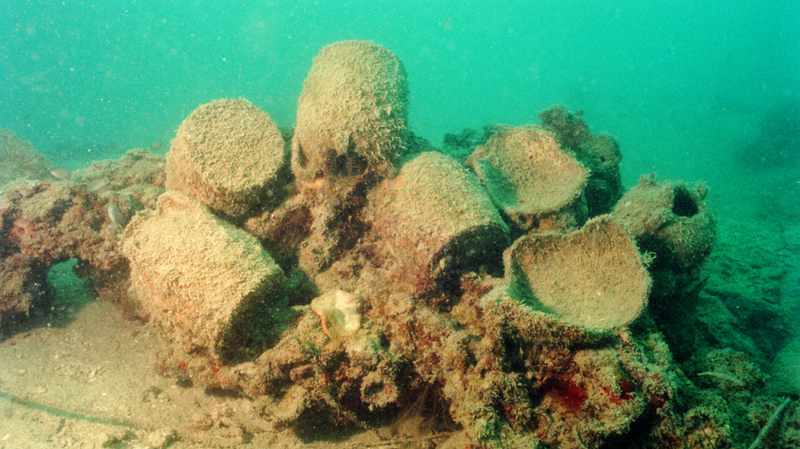 Under The Sea: Ewers and ceramic fragments thought to be more than 1,000 years old were found on a sunken merchant ship off the coast of Belitung Island, Indonesia, in 1998. To the average person, treasure-hunting on shipwrecks sounds like an adventure; but to marine archaeologists, it's a serious science — and one that's all too susceptible to looting. Now, the stories of looting and profit that surround an ancient shipwreck discovered off the coast of Indonesia are putting Washington, D.C.'s Smithsonian Institution under fire. In 1998, local fishermen discovered an ancient shipwrecked vessel off the coast of Indonesia's Belitung Island while they were diving for sea cucumbers. 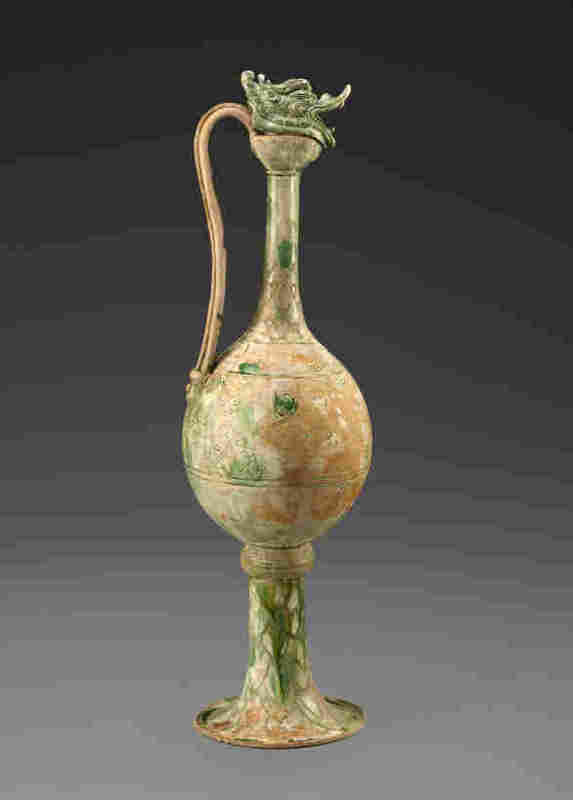 The vessel, believed to have originated in the Middle East, was packed with about 60,000 9th-century objects from China's Tang Dynasty. 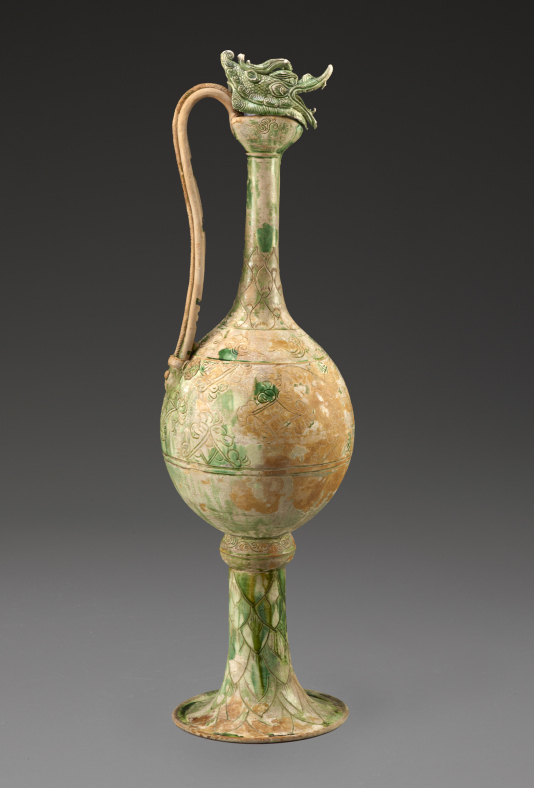 A ewer made of glazed stoneware and thought to have originated in China's Henan province between the years 825 and 850 was among the items found on the sunken ship in Indonesia. "This shipwreck is one of the most significant shipwrecks to be found in modern times," says James Delgado, a nautical archaeologist with the National Oceanic and Atmospheric Administration. "It is the only shipwreck to date that we have found which has direct archaeological evidence of trade between the Arab world and the Chinese world." But the Indonesian government did little to regulate treasure hunting around the site after its discovery, and it wasn't long before fishermen began looting its treasures, and artifacts turned up on eBay. "To sell ceramics from a wreck like that makes them a hell of a lot more than selling sea cucumbers," says marine archaeologist Michael Flecker, who worked on the ancient wreckage and has worked in Southeast Asia for more than 20 years. Today, many of the objects Seabed recovered are on display in Singapore in the exhibition "Shipwrecked: Tang Treasures and Monsoon Winds." The Smithsonian planned to bring the "Shipwrecked" exhibit to its Freer and Sackler Galleries in 2012, but it has encountered a problem. The Smithsonian is a member of the Council of American Maritime Museums, which has an ethics statement that specifies that members "shall not knowingly ... exhibit artifacts which have been stolen ... or removed from commercially exploited ... sites." "They were not excavated properly. They are indeed looted artifacts that were sold for profit," Faulk says. 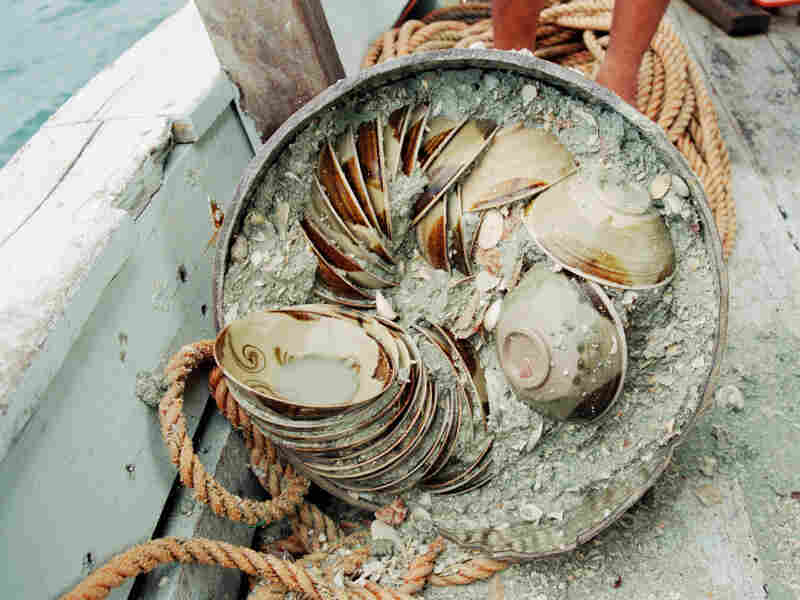 Displaying the artifacts, Faulk says, "sends a message that treasure hunting is OK."
Archaeologist Michael Flecker's team found thousands of ceramic bowls neatly stacked on the ocean floor. Some were looted by local fishermen between excavation seasons. But Julian Raby of the Smithsonian's Freer and Sackler Galleries says the artifacts that appear in the show were recovered by Seabed Explorations, the German salvage company, and not the looters. "This hasn't been ... pillaged or looted," Raby says. "It was actually legally licensed salvage." "We archaeologists are like CSI," Delgado says. "We walk into the room, we don't touch a thing. We tag everything, we photograph it and then — and only then — do we start to pick up the evidence. And in the case of this type of evidence, you're moving away centuries or millennia of silt and carefully picking up every fragment." Flecker says that while the CSI environment is ideal, it's hard to find in Indonesia where the government doesn't have the resources to consistently police the waters. He says the Indonesian government did the best it could. "The only way of preventing the complete destruction of the wreck with all knowledge lost is to have, in this case, responsible commercial excavation," Flecker says. The Smithsonian received so many complaints about its plans to bring "Shipwrecked" to its galleries that on April 25, it held a meeting with prominent archaeologists and museum directors from inside and outside the institution to discuss the issues surrounding the exhibition.